Viola was born on January 10, 1928, in Whiteville, Tn. Her parents and nine siblings preceded her in death. Viola professed her faith in Christ at an early age. 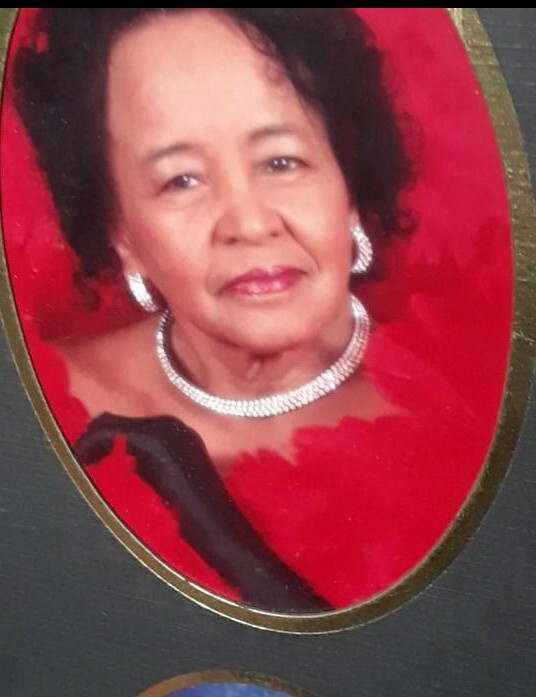 She was a faithful member of First Free Will Baptist Church for over forty years. There she served on the Deaconess Board and sang in the Chancel Choir. Viola attended Bethlehem MB Church in Bolivar, Tn until her health failed. Viola was united in Holy Matrimony to Eli Herron in 1948. A union that lasted for over fifty years, until Eli departed this life in July of 1998. Viola was employed at K. V. Pharmaceutical Company for over forty years. She was a kind and feisty woman. She loved her family and friends and believed in helping those in need. Viola transitioned from this life on Saturday, June 16, 2018. She is survived by: five loving daughters - Peggy, Martha, Stephanie, Linear (Alco Sr.) and Linda (Samuel Jr.): two sisters -- Mary Lee and Lorena; three brothers -- Sham, Moses and Robert; thirteen grandchildren -- Cheryl, Ralph, Nichole, Dawnn, Williams Jr., Alco Jr. (Nekia), Ronald (Shavonnia), Milton E., Mattthew, Sandra, Roxanne, Tracey and Kyle; fifteen great grand children: Daryl, Tiana, Mykael, Niya, Chase, Nicky, Amelia, Kaleb, Ophelia, Ryan, Raven, Reagan, Rylin, Jaston, and Jordan. Viola also had a host of nieces, nephews, and other relatives and friends to cherish her legacy and the memories of a life well lived.